In its slow progress upwards, London’s Shard (1) is already Britain’s most high-profile skyscraper and, when finished, will be – at 1,017 feet – the tallest building in Europe. According to its architect, Renzo Piano, part of the inspiration for the design came from the railway tracks adjacent to the site of the new building, which centre on London Bridge station, one of London’s eighteen railway termini, and constructed mainly in the mid-1860s out of an existing jumble of buildings of several competing railway companies (2). At the present time, Network Rail are planning to remodel the entire station – an attempt to transform a notoriously cramped, messy site characterised by spatial confusion into a building that reflects the character of its new spectacular neighbour. 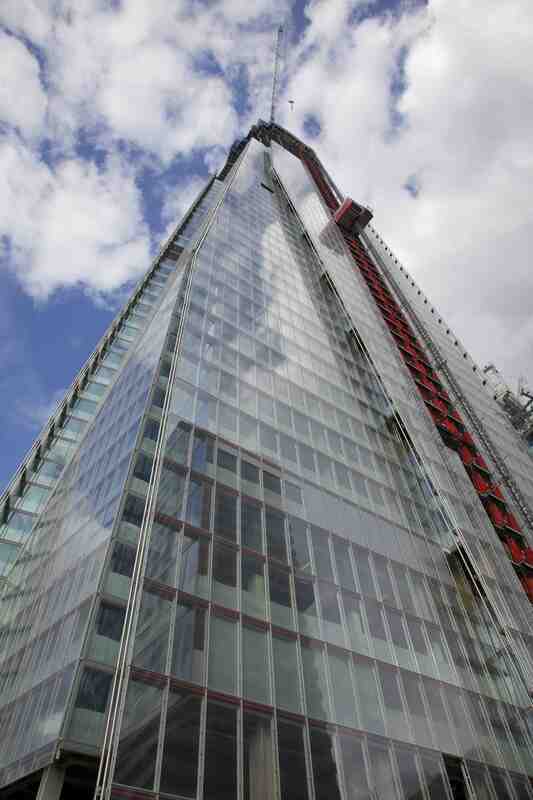 The contrast between the two buildings – Shard and London Bridge Station – is startling. The Shard is the epitome of spectacular high-tech modernity in architecture, a spire entirely clad in glass panels that will create a dazzling landmark visible for miles around; while London Bridge station is Victorian bric-a-brac architecture, its bits and pieces including a brick train-shed wall fronting St Thomas Street pierced with monumental arches, and an enormous viaduct stretching for nearly a mile southwards, slicing the land in half and supported on a repeating series of triple polychrome arches (3), pierced by tunnels that link Tooley and St Thomas’s Street (4). 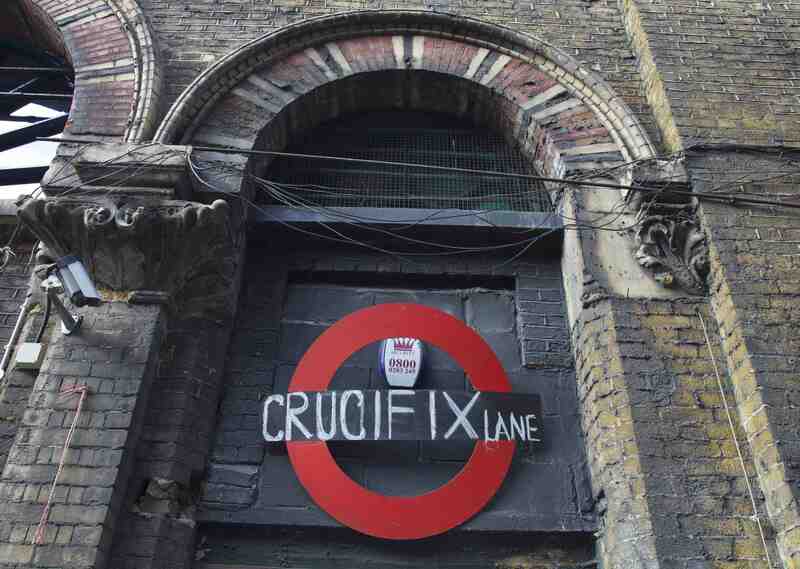 Today, most of the arches are in an advanced state of decay, their polychrome facades chipped and faded, the cornices awry and sunken from decades of neglect (5). 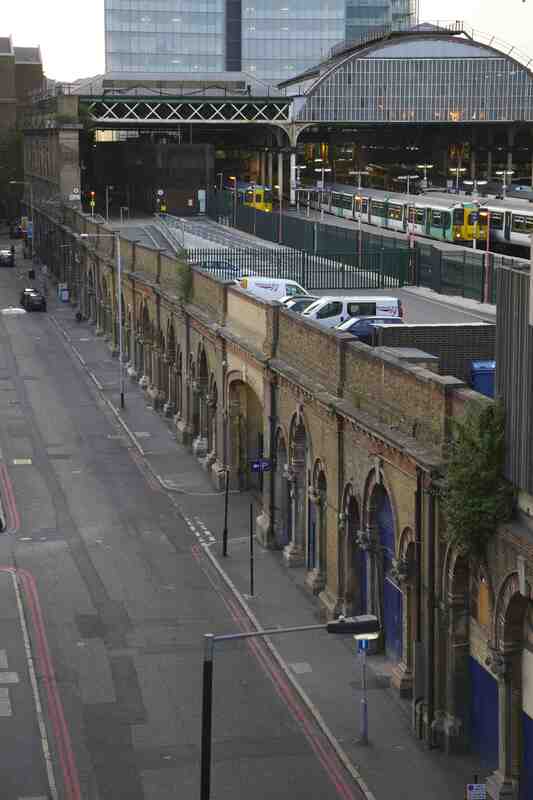 Network Rail’s plan to sweep away much of this Victorian heritage in its new design for the station has encountered opposition, mainly from local residents, channelled through the Bermondsey Village Action Group (BVAG). 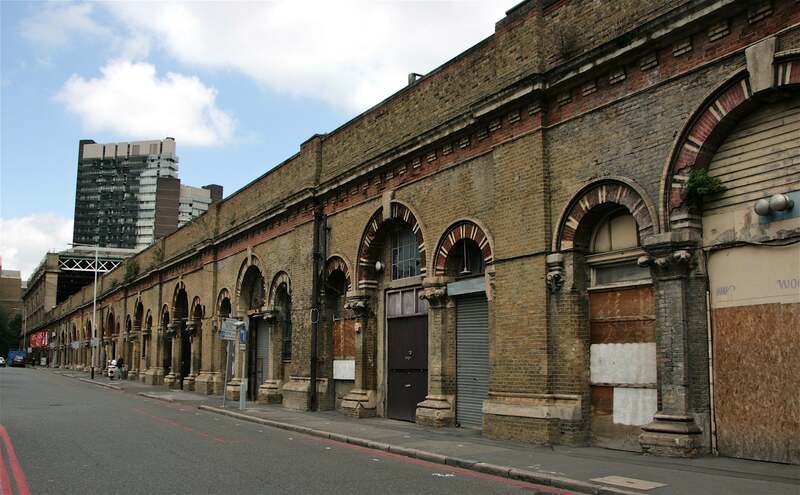 As Southwark Council plan to line St Thomas Street with new high-rise office buildings, the BVAG are formulating an alternative ‘heritage-based’ approach that seeks to conserve and repair the existing Victorian buildings. The central question raised by these plans is one of urban image: on the one hand, the Shard proclaims a new image for the city, centred on the idea of architecture as talismanic presence, inspiring a new spirit of urban optimism that looks forward and not to history; on the other, London Bridge station asks us to appreciate urban space shaped by the chaotic and conflicting demands of both city life and of its history, its decay prompts thoughts on what exactly should be valued in the built environment. 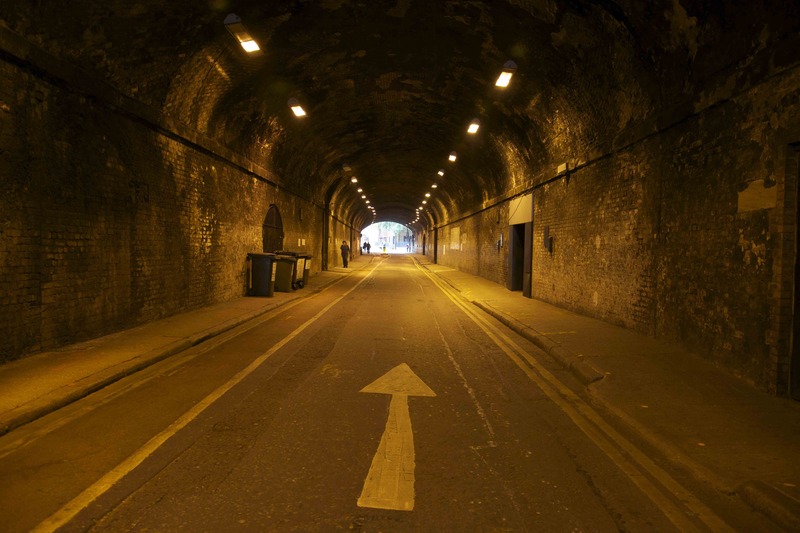 For some, the sense of decay and mess around London Bridge station is a positive attribute in itself – a liberating alternative to the clean surfaces and ordered spaces of an increasingly dominant high-tech urbanism. What would continue to make this site really interesting is a willingness to engage with multiple ways of imagining urban space, its future as well as its past. Despite the fears of many, the presence of the Shard may not necessarily overwhelm the long and complex history of the site; at the moment at least it serves to highlight the contradictions and juxtapositions that make big cities such fascinating places to be. Whether or not that continues to be the case depends on how much we allow our urban spaces to be shaped only by one seemingly overpowering image and not by the many that have given them their history. Very well put, Paul. Better back off my railway viaduct niche! Heh. Let me know if you do, I just did a good interview with someone from English Heritage, partly about Castlefield. *My comment should read ‘the newer buildings around ARE disappointing’, tho’ I guess they could be worse! I agree that buildings like the Shard, & the ‘Gherkin’ arn’t necessarily a problem to the older buildings, somehow they can sit alongside OK, as shapely shiny 1 offs in the sky; it’s more the modern buildings at ground level that are.. ugly, jarring. Thanks for this. I think it’s the lack of history embodied in the contemporary buildings that I find difficult. They’re unreadable in those terms and will be in the future too.